Happy New Year! Well, sort of. The ENF closed the 2014-15 fiscal year on March 31, but lucky for you there’s still time left in the grant year. In fact, there are plenty of Gratitude Grants available, to Lodges that reached the per capita goal, to apply for by May 31. I’ve had many Lodge members tell me they’d like to apply for a grant but due to the time of year and project deadlines they have difficulty thinking of a project. As you know, the Community Investments Program is all about using the resources and relationships that already exist to benefit the community so what better resource to maximize than that of the four seasons. One simple project your Lodge can easily start is a community garden. Community gardens are a fantastic way to meet the needs of the surrounding community and teach youth about the benefits of local food and healthy eating. The best part of starting a community garden is that it is versatile. Your Lodge can choose what to plant, with whom to partner, who the garden will benefit, and who will help care for it. Read on for examples of Lodges who put a modern spin on traditional gardening projects! Blairsville, Penn., Lodge No. 406 worked with the Borough of Blairsville and the Blairsville Community Development Authority to construct a 20-bed community garden. 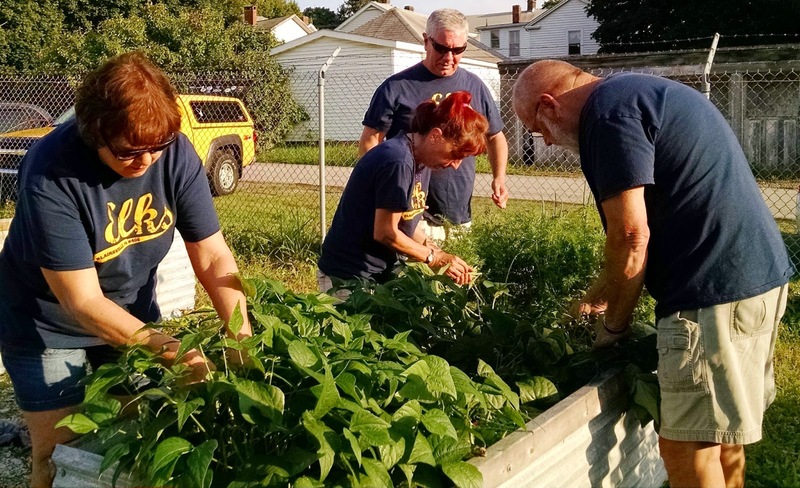 Lodge members maintained a portion of the garden’s crops and donated the shares to a local food pantry. The local community uses the remaining beds as part of a healthy eating initiative. This project has had major success and nothing but positive feedback from the community. The chair of the local food pantry remarked that this was the first time the food bank was able to offer fresh produce to its clients, which is especially important considering there isn’t a grocery store in town. Winter Haven, Fla., Lodge No. 1672 teamed up with Hydroponic Towers for Youth, an after-school tutoring program that also teaches children about gardening and healthy eating. The students’ homework is to bring home the fresh crops to share with their families! Petaluma, Calif., Lodge No. 901 built an organic garden for students attending Cypress School, a school for children with autism and cerebral palsy. The students enjoy working in the garden just as much as they enjoy eating the delicious vegetables they’ve worked hard to grow. Join the Lodges across the country that are digging in the dirt and building stronger communities. I look forward to hearing all about how your Lodge’s garden grows! 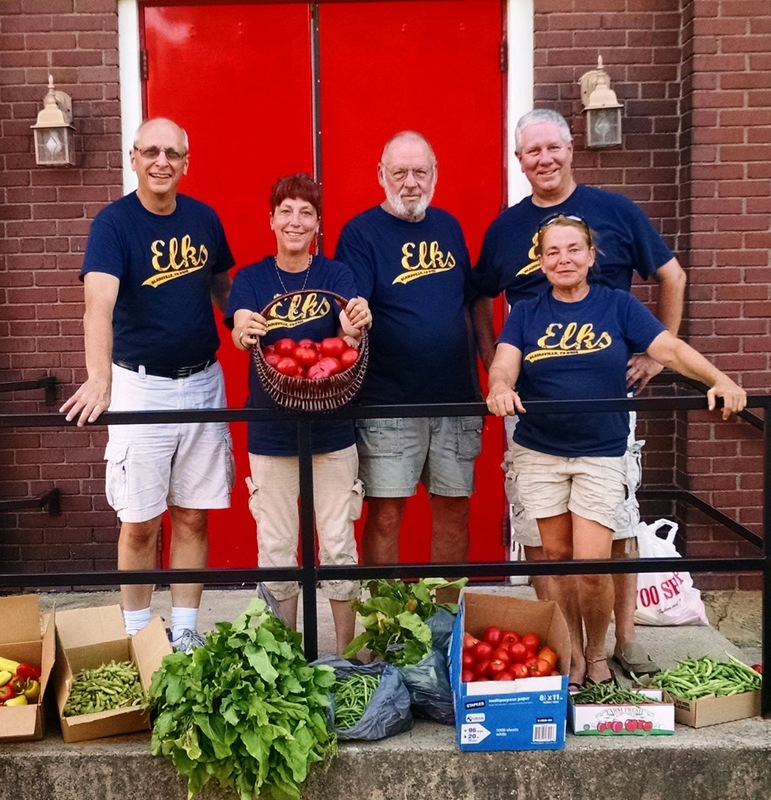 The Elks National Foundation helps Lodges serve their communities by offering $2,000 Gratitude Grants. Lodges are eligible to apply for Gratitude Grants after meeting the National President’s per-member goal for giving to the Foundation. To find out more about Gratitude Grants and the Community Investments Program, visit www.elks.org/enf/community. For a list of additional Gratitude Grant examples, click here!